That’s horrible typography. I will emphasize horrible again. Horrible. Or to be nicer, not good. Look at it again. Of course, anyone could’ve made the same honest error! The words “Best Actress” is on there — at the very bottom — in small print! I don’t blame Faye or Warren for this. This was the fault of two entities: whoever was in charge of the design of the winning card (Was it really a design? 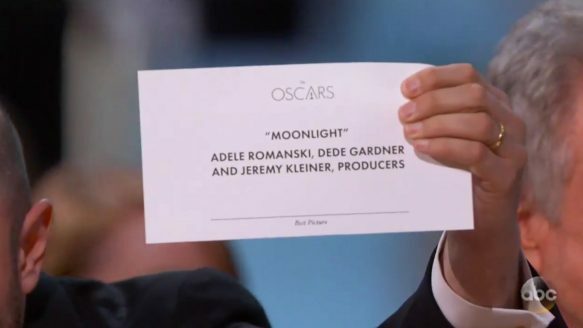 C’mon), and the unfortunate person who handed them the wrong envelope.